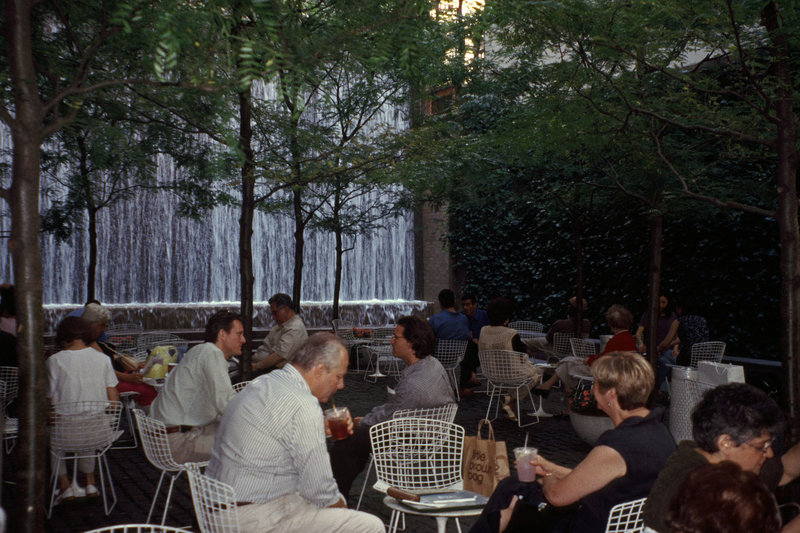 The original “vest pocket park,” designed by Robert Zion, opened in 1967. 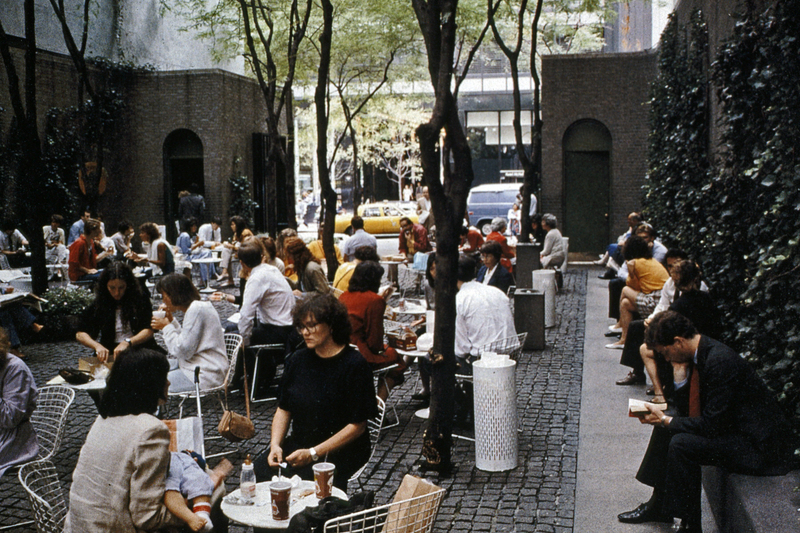 It was conceived as the prototype for a new kind of public space, privately owned, described in a proposal by Zion & Breen Associates in a 1963 exhibition at the Architectural League of New York. 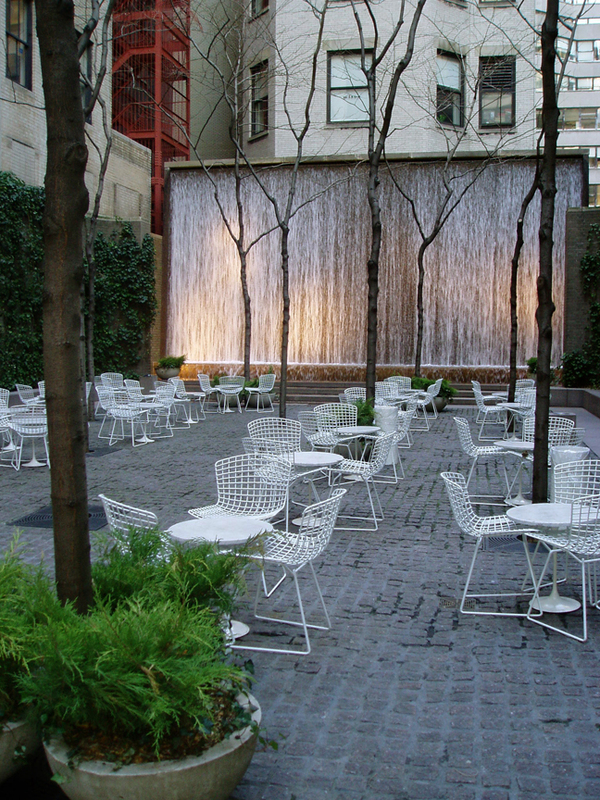 William Paley, former Chairman of CBS, offered the site of the Stork Club and was closely involved in the creation of the park, a memorial to his father. 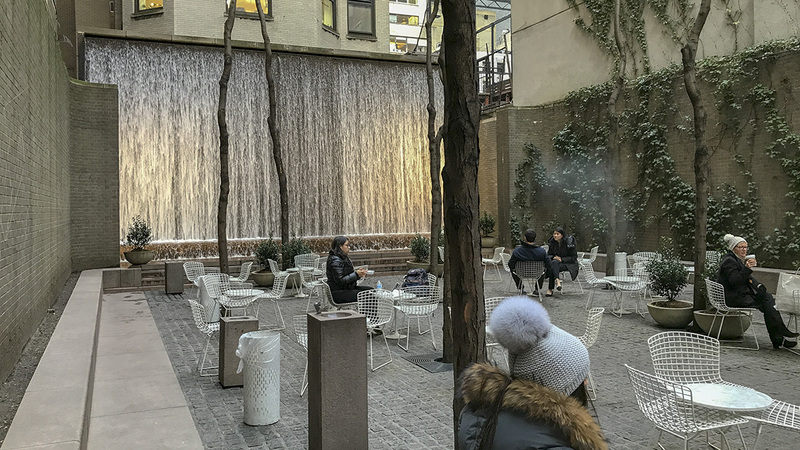 Bounded by buildings on three sides, set back from the street, slightly elevated and enclosed by an iron fence, the 1/10th-acre park is dominated by a 20-foot high wall of water at the back. 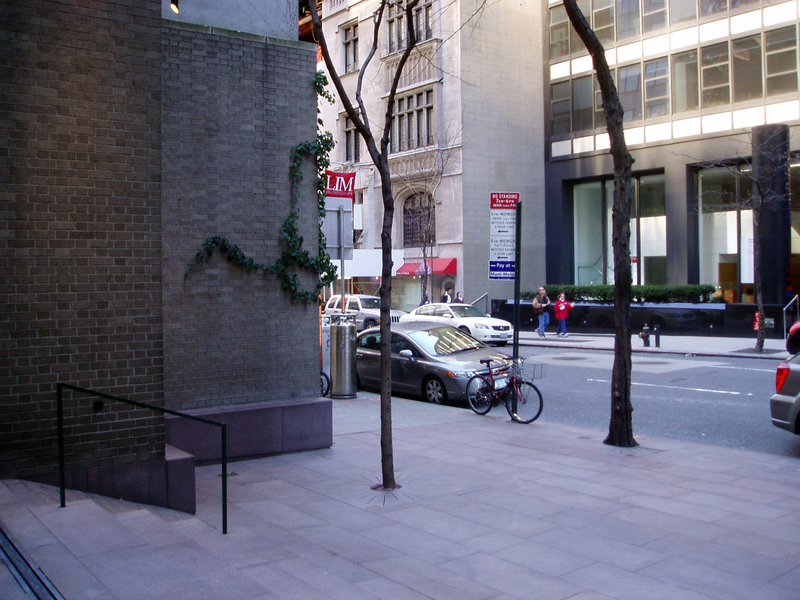 The two side walls are covered with “vertical lawns” of English Ivy. 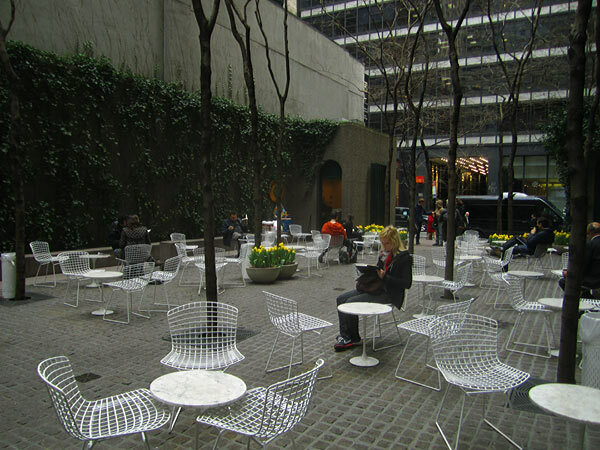 Seventeen honey locust trees, planted on a grid within the central seating area, offer dappled shade above the moveable wire mesh chairs and marble tables, set on a floor of granite pavers. Annual plantings in containers enhance the restrained plant palette. 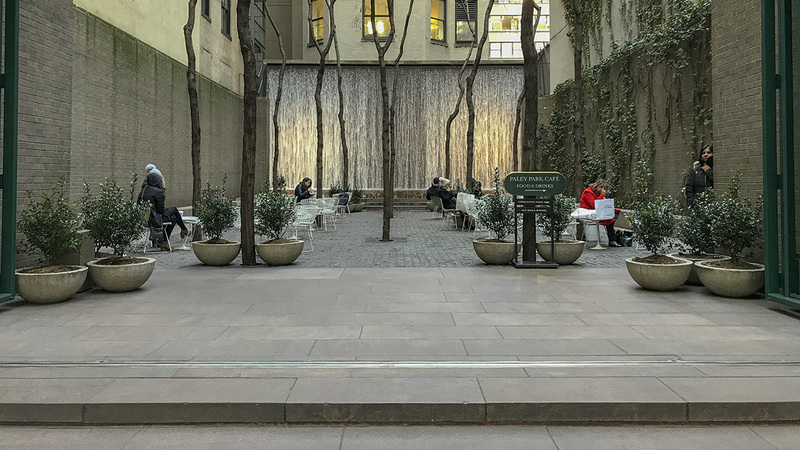 A food kiosk is located at the park’s entrance, adjacent to an ornamental iron-gate limiting nighttime access while inviting visual connection to the park and especially the water wall, backlit at night. 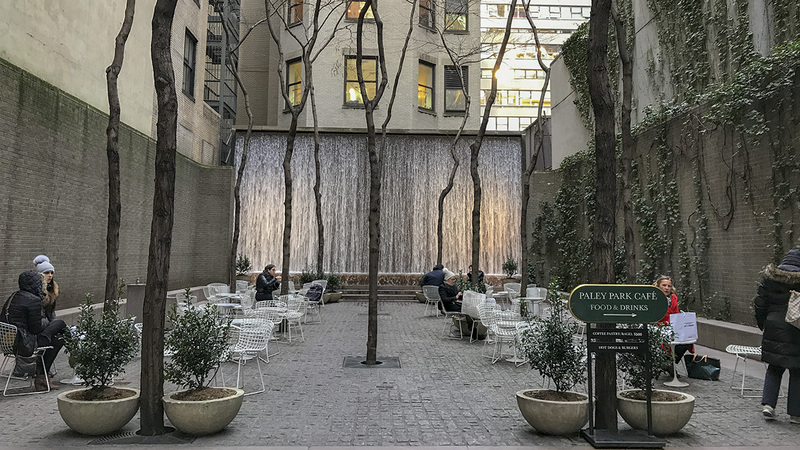 Like nearby Greenacre Park, Paley maximizes its small space to offer city dwellers an intimate park experience.